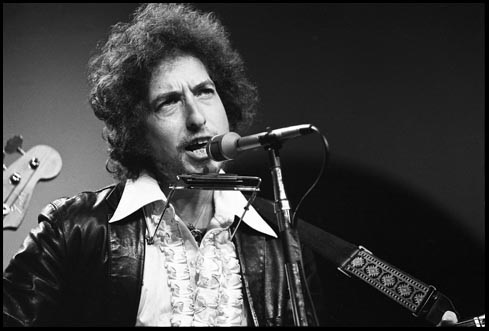 Dylan gives an excellent performance, and is surprisingly unselfconscious about the camera – he looks uncomfortable at the start of each song.. but it is a functional discomfort, which evolves into a purposeful seriousness, clearly a surface expression of his concentration, his intensity, his intent. 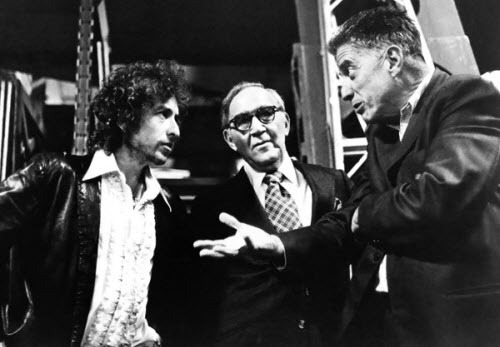 Dylan, accompanied by Scarlet Rivera, Rob Stoner, and Howie Wyeth, performs three songs at WTTW-TV studios in Chicago for “The World of John Hammond,” a one-hour tribute to John Hammond, Sr. “Hurricane” is performed twice, the broadcast version being an edit of the pair. The other songs are “Oh Sister,” receiving its first public performance and dedicated to “someone watching tonight,” and a rewritten version of “Simple Twist of Fate,” concentrating more on the narrative and clearly influenced by his collaborations with Jacques Levy. Was told ro watch is all…. I remember seeing this live on TV on channel 11 – WTTW that night at Rich & Gretchen’s apartment. Amazing. The apartment was in Des Plaines, I think. This performance, and the 1984 Letterman show with The Plugz, are Bob’s best TV appearances ever, in my opinion. It is probably no coincidence that both shows are with very basic, stripped down bands. I wish he would do that more often. I remember listening to this on the radio. As a matter of fact, I recorded it on an old Wollensack recorder. Never knew this video was available. Great! Great. I had never seen or heard this before. Amazing that such gems keep popping up. This is a powerful performance of songs that clearly were very important to Dylan at the time. Thanks for sharing. 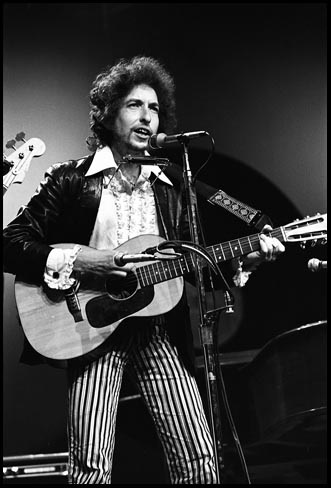 You really have to appreciate Dylan’s striped prison trousers as he sings Hurricane. An awesome performance, thanks.